Disastron ESXi versus vZilla: you decide/discuss/deliberate! 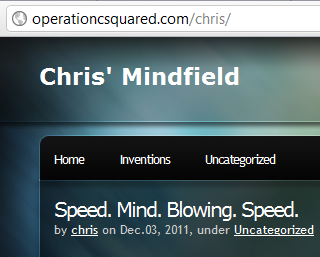 Chris' articles below are the exact the sort of the counterpoints I've been looking for, and I love it! The vZilla approach has roughly 1/3 of the budget dedicated to the pricey but extremely fast LSI 9265-8i card with cable, with 8 ports to handle my existing set of drives, about $665 with cables. Chris' approach is to see what he can do with the much less costly LSI 9260-4i 4 port card kit, about $359 with cable. Correction: Chris has gone with the LSI9260-8i 8 port card kit, about $530 with cables. Both approaches wind up with extremely pleasant-to-use virtualization servers, where your favorite virtual machines live on SSD storage, and your larger datasets live on RAID5 arrays. If you've followed my blog for a while, with my articles about virtualization, storage, and SSDs, you'll probably agree that Chris and I seem to have a lot in common. But we also differ in our final solutions. I know that if you read more about both approaches, you'll come away more informed, and hopefully more comfortable in your own decisions. It's great to have Chris join in and say this to me recently: "I would like you to consider adding my process to your site, making this a central site of confirmed information about the LGA 1155 platform and ESXi, XenServer, etc." I only try to blog, and answer questions (via pubic comments), about things that I've tried myself. I cannot really answer questions about stuff I haven't tried, I simply don't have the time, or knowledge. While I know little about XenServer, and am still developing my "voice" for this site, I should probably continue to keep focus on documenting particular solutions that I've found to solve tricky problems. So I'm totally on board with trying to be the go-to site for all Z68/LGA 1155 socket information, specifically, the Z68 + Core i7 2600 combination that I've settled on. When I first began researching this, there was extremely little info about using Z68 motherboards with ESXi. This is still largely true. Try searching Google for esxi5 z68 and you'll see what I mean. Part of that is it was seen as a generally bad idea (only 4 DIMM slots). But I'm confident 32GB kits for 4 slots will be affordable soon enough for my needs (to juggle 4-6 VMs full-time). So far, I've merely described my strategies and methods, not making claims that my decisions are somehow the best decisions, and certainly not saying that building your own virtualization box is even a great idea. I'm more just putting myself out there as a reference to many I've meet over the years that are also interested in making their own virtualization systems, especially when studying for certification exams. This is common, and once you realize that hand-me-down older stuff tends to cost a lot in electricity charges, and lacks the SATA3 ports of today for superior SSD speeds, leaving any labs running 24/7 require a bit more planning.